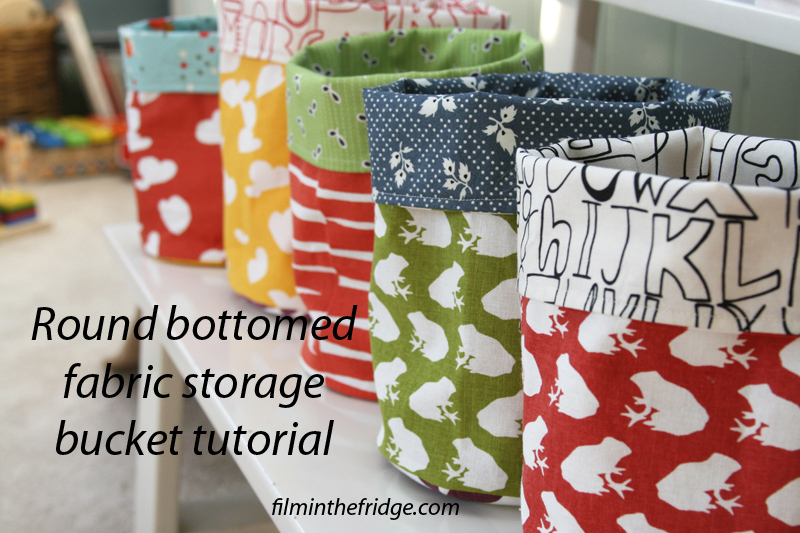 Simple round buckets in 2 sizes from Film in the Fridge. 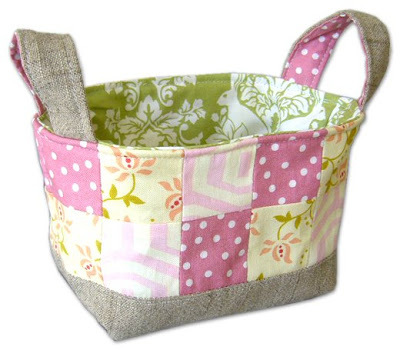 Add patchwork and handles with Pink Penguin. 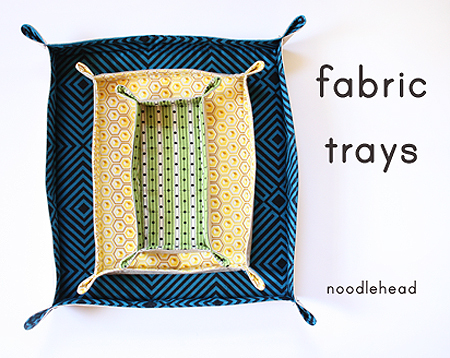 Anna from Noodlehead has two great tutorials: Fabric Trays or berry boxes. 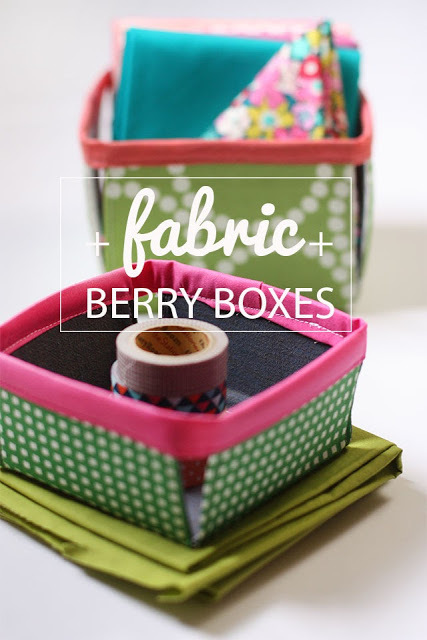 And for ten more cute ideas, take a look at this round up of tutorials.